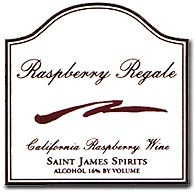 Raspberry Regale by Saint James Spirits is a fun dessert wine for any occasion, holidays, birthdays, girl night or just because. I’m always in search for something a little different that can add to the spirit of the an occasion when entertaining. This particular libation indeed fit an upcoming dinner with my close friend. It also happens to be her favorite. Saint James Spirits was founded in 1995. Jim Busuttil, the owner and founder of Saint James Spirits, comes from a long line of wine and spirits producers. In fact, wine has been produced on the family farm as far back as anyone can remember. They strive to produce all their wines and spirits naturally, priding themselves on their use of the finest ingredients possible. 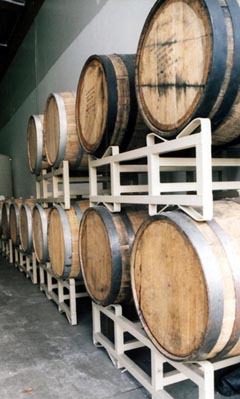 It’s important to note that all their wines are produced from the Muscat grapes. Their efforts and attention to detail helps to create premium spirits that are exceptionally pleasing to the palate. You can find a version of this at Trader Joe’s or the purchase the original on the Saint James Spirits website and many wine purveyors. I’m not always fond of sweet spirits, but this one is particularly good. You can’t beat the price. I so love the raspberry forward flavor of this libation. 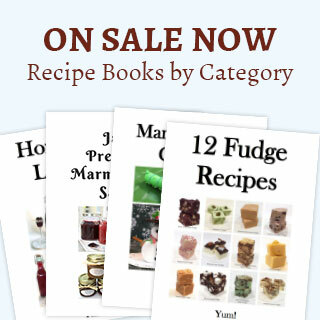 It goes well on a cold night with a fire burning in the fireplace curled up with a good book, on a cool spring day with a bit of dark chocolate – yum – or any time of year for that matter. If you’re up for something a bit different, try it over vanilla ice cream, it’s a divine after dinner treat. If you enjoyed reading about “Raspberry Regale by Saint James Spirits,” check out Evenus Zinfandel Port Wine 2007, Trader Joe’s Saint James Spirits Raspberry Dessert Wine, and G Chevalier Sauternes.